Words from the heart, and sometimes the brain. : Ooh, new cards are in. Ooh, new cards are in. Well, I've gone over my due date now (+4 days) so I've given myself 100% guilt free permission to just sit and lounge around watching what I want (Partridge, League Of Gents, Prometheus, zombie stuff), wearing what I want (pj's, no bra) and eating what I want (mostly crisps and chocolate). This all sounds great on paper, or even on a computer screen, but it actually gets tired pretty quick! So I've been getting some of the greetings card ideas out of my phone notes (where most things start off tbh) and into real life print. I'd love to show you just a few of the more recent ones which now seem to have a sort of pregnancy/baby theme. First up, we have this little cutie. Some women seem to have a rough time during pregnancy with unwanted comments and advice etc. unfortunately barely anyone who isn't in my circle even acknowledged my pregnancy, this includes our local Priest who even now is yet to ask us when the baby is due! But yeah, there's a stage when you start to show when there's only a small difference between being fat from pregnancy and fat from, well, just getting fat. 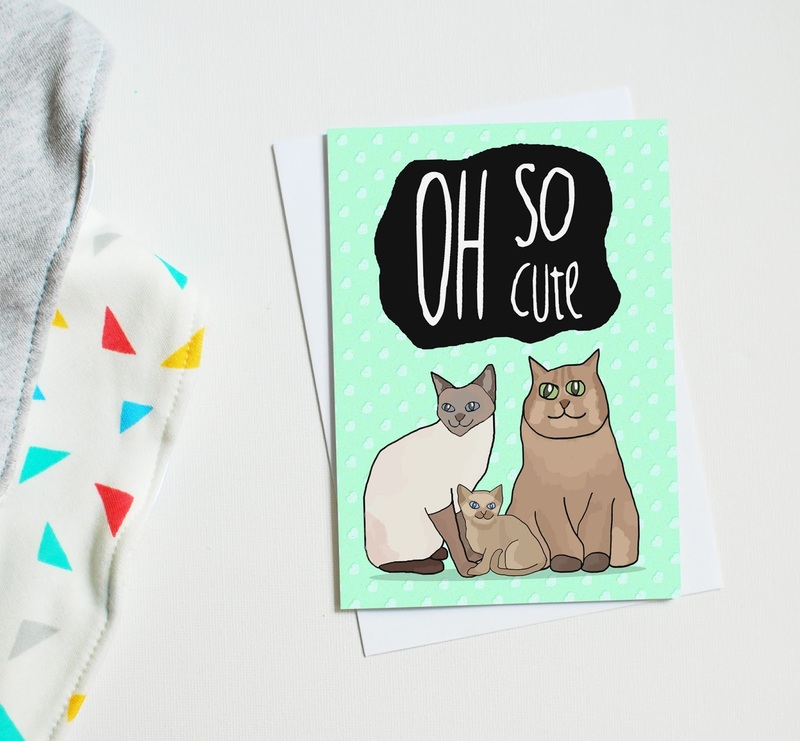 If you know someone who's going through this right now then this is the perfect card for them. This next one is for the proud parents or parents to be. It's pretty cool because it's unisex or gender neutral or whatever we're saying at the minute with a mint background and little hearts. It can be given either after the pregnancy announcement or after the birth. 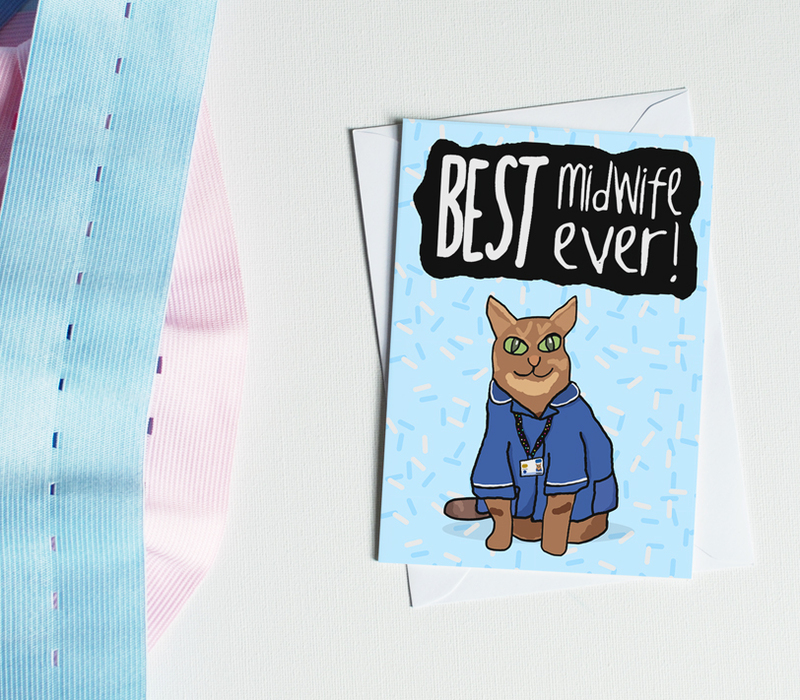 Here we have a card to say thank you to your midwife, this is not something I'd even thought of until a few of the ladies in my FB pregnancy group mentioned they were planning on taking in a card for their nurses, doctors etc. It's also a great choice if you know someone who has recently qualified. Last up we have this beauty which conveys just what we all want when we hear that much anticipated bundle of joy has finally arrived, to have a good sniff! Available in three colours too. 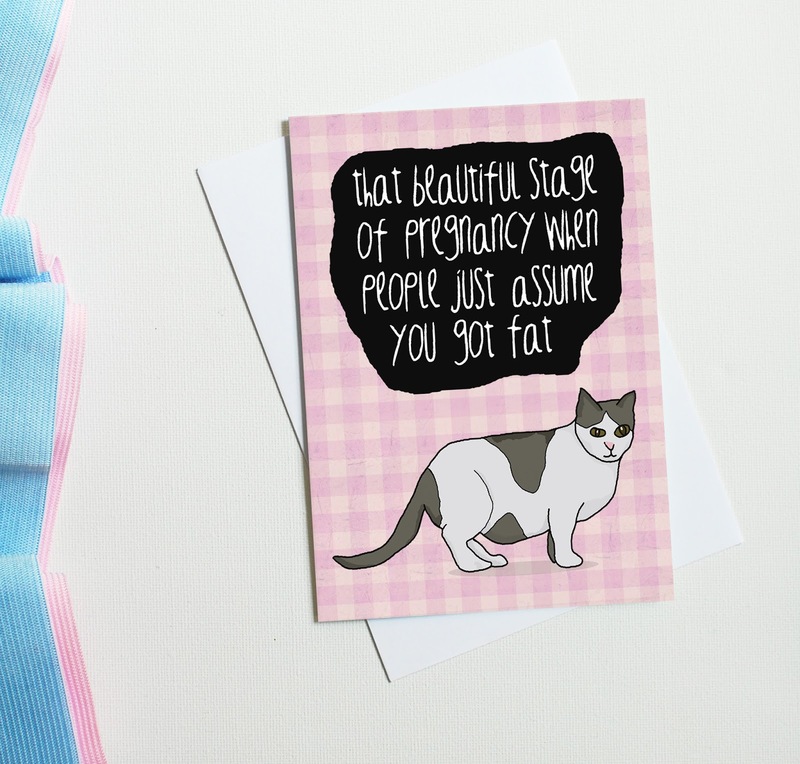 So there you go, a few little ideas for you surrounding all areas of pregnancy. If I've missed any then please let me know your ideas in the comments.